Here it comes Aim for that! The guessing game you'll love to play! You can play against all your friends to look for the fast and accurate player among them! 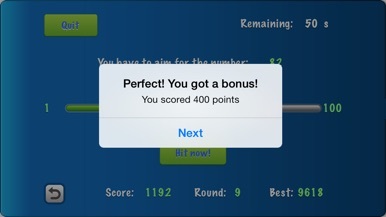 The game is really easy to play: you'll be asked to estimate the position of a number between one and one hundred with a sliding bar. 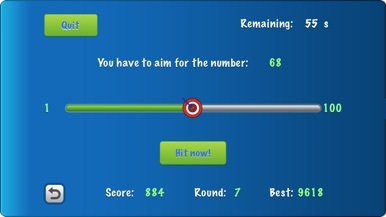 The closer you get to this number, more points will be given to keep going up in the leaderboard. 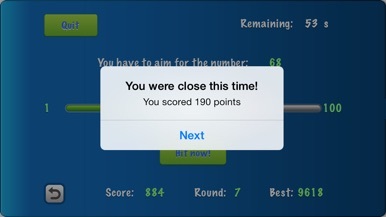 But you have to be both fast and accurate, because you'll only have sixty seconds to play before you run out of time!! 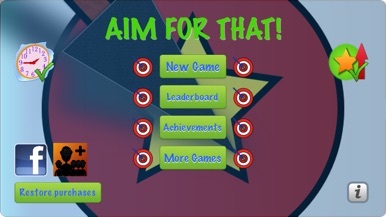 Will you be able to reach the top 1 of players all around the world and become the best player of Aim for that? 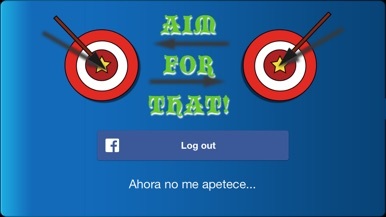 Can you reach all the achievements and beat all your friends records? You can get your power ups and try to make things easy! Make some cheats and you'll sure reach the top!